Kelly and Mike can't seem to catch a break--from murders that is. They were finally taking some time off on a staycation when a phone call came through. It seemed that the Sheriff of Sonoma County needed help-desperately-it was requested that they bring their dog Rebel. 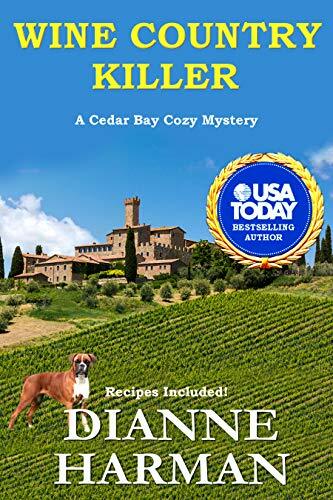 Owners of vineyards were being murdered! They were flown there in a private plane and were the guests of one of the vintners in a guest house that seemed more like a vacation house then anything else. The next morning--the owner of that vineyard was found dead! This case was definitely not like any Kelly and Mike had tried to solve before. So much was happening--so fast. All I can say without giving everything away is--thank heavens they had Rebel with them!! 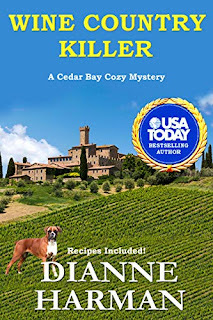 As always in this two-time USA Today Bestselling Author’s cozy mysteries, there’s plenty of food, mouth-watering recipes, and dogs. This looks like an interesting series. I have not read any of the books yet. I have not read any of the other books, but would love to. No I haven't yet, but I can't wait to start! I have not read any of the other books, but would like to. I haven't read any yet but I hope too. I have only read a couple & have loved them! Fingers crossed that they get turned into a television series! So exciting! I have read and reviewed several. 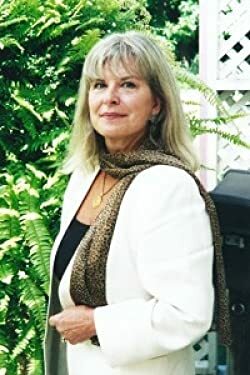 Oh I love Dianne Harman's books! I haven't read any yet but I want to! I have not read any of the books in the series yet, but am looking forward to it! Thank you for the giveaway! Love this series! I have not read any books in this series yet, but would love to! Merry Christmas! I haven't had the pleasure yet but I can't wait to jump in.